As I started imagining the kind of assets I'd like to find for purposes of the demo and the MVP scenarios, I quickly realized I hadn't done even a marginal audit on the Environmental Habitats I could portray. 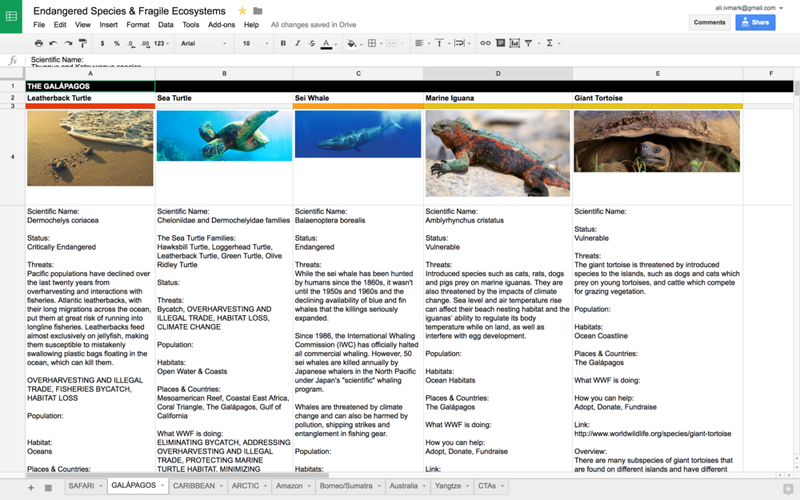 So I spent the better part of a day researching both habitats, regions and species that are either in jeopardy or critically endangered. You can check out my collective research here. Am leaning towards Borneo & Sumatra but maybe The Galápagos Islands would be better? Right now I'm leaning towards Islands or archipelagos which have a rich and unique ecosystem. 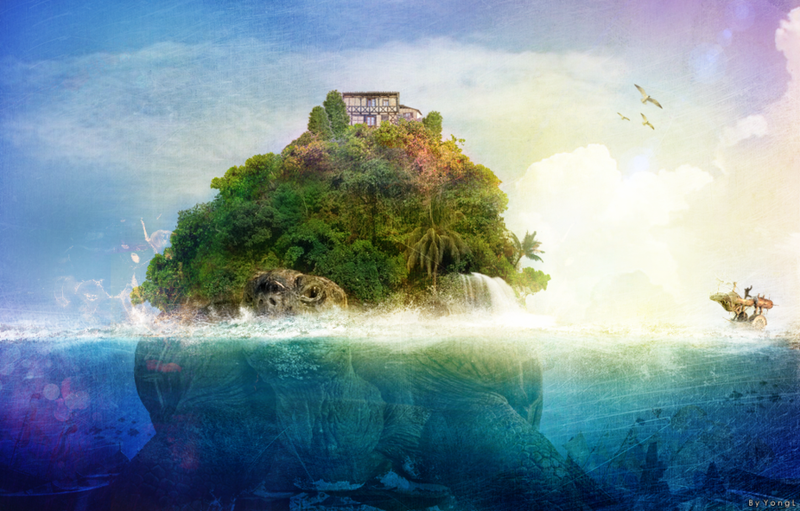 I envision all ecosystems that the player can explore as "Isles that float like worlds" in a collective space, but am finding that some species travel between or exist in different geographical regions. In terms of the demo I don't plan on exploring the development of more than one ecosystem, but ideally capturing as many as possible at some point. but it starts by connecting a lot of dots. I spent the better part of Friday focusing exclusively on the Product Plan, and it feels good. I’m not sure if Personas are part of the game design process, but I have found it works well with User Experience Design if utilized well. For me, I find them particularly useful in gather User Insights and developing Value you can iteratively get feedback on. It makes the design more humane and less about empty statistics as well. I am hoping to also use it throughout the decision making process later on. For Moki’s Adventures, my plan is largely two phased. The first phase should just be for the Consumer audience who is using Gear VR. I want to make it available as much as possible and iterate on the experience as much as I can to be most successful. The second phase would be working with Doctors, Healthcare Practitioners and Hospital Administrators to better understand Patient needs and experiences. I believe there is a great deal of work being done in this area in terms of pain management or games to kill time, but I want to make content for Patients that feeds and nourishes their soul as much as their mind. It should be one part distraction in the most regenerative way, and one part engaging and confidence boosting depending on what cycle of their treatment they are on. For purposes of the Demo, as I mentioned before, I will design a flow that could scale for Patients but is, for the short-term, intended for 13+ Gear VR Users. Initial research has not been optimal, other than personal experience with losing family to cancer, it has only been secondary research for the time being. Here is an article from UCSF Medical Center on Coping with Chemotherapy and from the University of Texas’ Cancerwise Blog. When it comes time to develop Moki’s adventures for Cancer Patients, I would like to conduct a more hands-on research proposal and do stakeholder interviews with the Administrators, Medical Staff and active Care-takers as well as contextual interviews and observations with a range of Patients receiving treatments. Above is an example of how I would create a UX Framework to help engage the Patients differently at different times in their cycles. I would then ask them to rank the themes (and or hi-level features) that they would prefer to have accordingly. Here I am developing a “Create-your-own-adventure” model in very simplistic forms. Basically I see the need to be able to have a more passive or active mode depending on the User’s condition. If you read it from left to right you could surmise the overall User Experience for a Cancer Patient undergoing Chemotherapy. Obviously User Testing of the preferred themes would affect the nature of the adventures developed. For purposes of the demo I will likely just go with a simplified version of a challenge. I sketched out how the User might want to fluctuate and be more active or more passive over different stages of a given treatment. Finally getting to a Scenario I feel is representative of the whole product but is still malleable to adapt to new requirements or insights. I am feeling anxious about the fidelity of the assets as the Visual, Interactive and Audio aesthetics are going to be so critical to the overall experience. That is why I have quickly listed the types of assets that I would want to successfully illustrate the right kind of holistic adventure scene. As far as beginners go, I am proving there is always a level zero! Below is my first recognizable object in Blender. 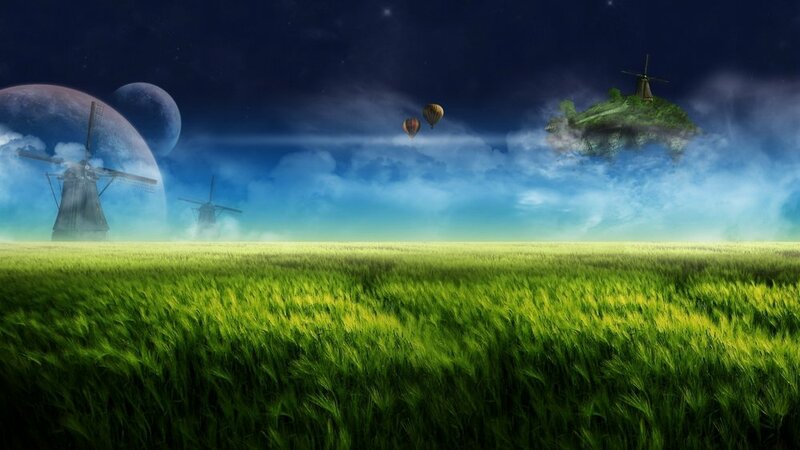 Am starting to look at how I can fabricate my world(s) and the basis of all of them are that they float, isolated but still in a collective Universe. Here are some examples I just grabbed from a simple Google search "low poly floating islands". 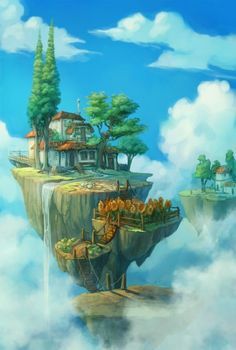 Then I realized that I longed for imagery like from Miyazaki’s Laputa: Castle in the Sky film (which I own on DVD and highly recommend) and searched for “miyazaki floating island” to see what would come up! So I feel I'm getting beyond just Moodboard stage and want to start playing with making some kind of environment come to life. I will definitely want to start with low poly graphics for now as even that will be a steep learning curve for a VR novice such as myself. So first off, I've started collecting all the assets and extensions I may want to consider purchasing. Feel free to check out what I've collected on my Wishlist here. Then I pondered just how hard can it be to make these trees and rocks. I mean really! So I found this great little tutorial I am giving a shot today to test my prowess. Feel free to join me! Goals this coming week – starting Tuesday, July 5th! Brought to you by Allison Ivmark, student of all things VR.